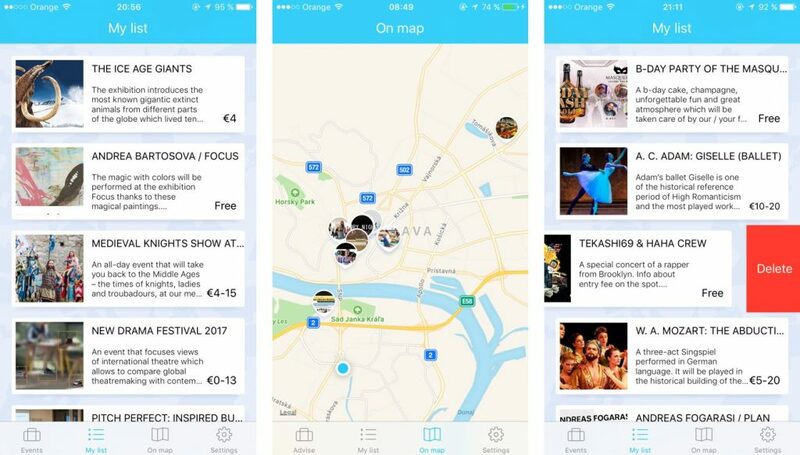 We recently had a chance to test out Eventland, a new mobile application for events in Bratislava available in English. Considering how needed such an application is for a non Slovak speaker, we couldn’t wait to give it a try. Our full review is next. 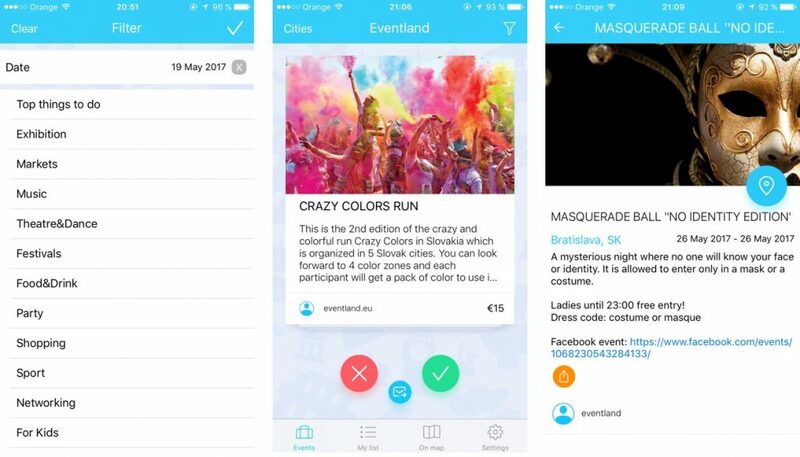 Eventland is currently available for IOS and Android, the version we tested here was the Android version, and so far we like that said application does not take too much size in your mobile. We didn’t get to try the application on the long term considering that it’s been just recently released so we were only able to try it for a couple of days. Even so, we liked the UI design, as it does not try to give you a completely new experience, if you have recently used any modern dating application for example, then you should understand the concept of swipe right or swipe left (you can save the event or dismiss it). So let’s get into the events you can find with this application. You will be happy to know that not only those events that were originally created in English are available, but even those who were originally in Slovak as well! That’s quite impressive, but we can see that such endeavor is time consuming, only time will tell if the developers can keep up with the amount of translation required. We found concerts, cultural exhibitions, festivals, flea markets, sport events or parties and then there were other types of events that just don’t fit into any category, so the content is wide and should cover most of people’s interests. One of the most interesting we features we found so far was the ability to view on a map the location of the events, this can make it easier to find something close to where you live or realize that it’s too far to get there, event icons are also displayed on the map so you can find an event you like much faster. 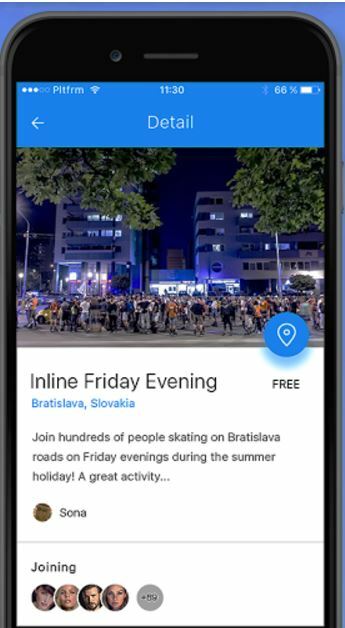 The developers at Eventland do an extremely good job of keeping up to date with the events happening in Bratislava, but in case you have an event that you don’t see it on the application, there’s an online form that allows you to manually add an event. Considering how recent the application has been on the market, it’s bound to have a couple of bugs that were missed by Quality Assurance, nothing as critical as crashes but we found for example that events you dismissed all of the sudden appeared if you use the Filter option or how you can’t filter by dates just yet. We hope these minor issues and features can be fixed and included in the upcoming updates. 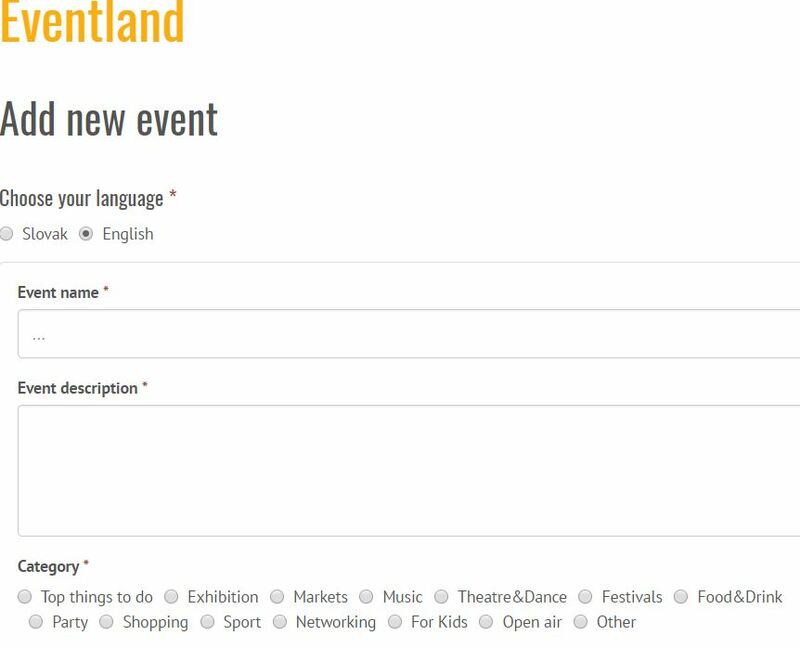 Ultimately we are quite happy using Eventland so far in the small time we have had it, it has a few flaws that surely will be handled in future updates and our only concern is the ability to remain relevant and keeping up to date with current events in Bratislava.